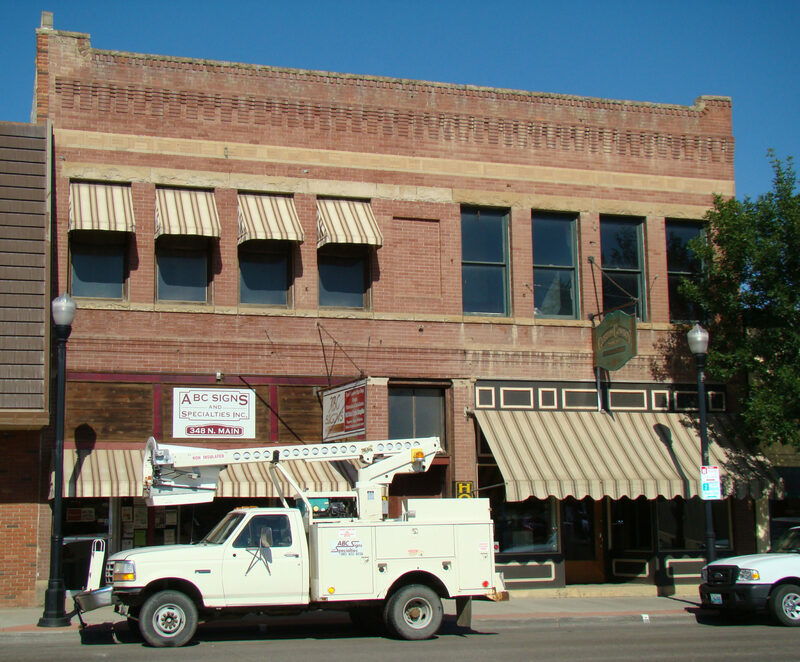 Built in 1907, this structure was a bowling alley on the first floor and the second floor served as the Palm Theater, boasting a “canvas scenery curtain.” In 1918 it became Hotel Rex and was possibly the most well-known and longest running house of ill repute in Sheridan. With twenty rooms, a parlor, a communal bathroom, and the proprietors headquarters Hotel Rex housed 3-5 working ladies under their Madame at all times. The hotel owes its fame mostly to the legendary Madam Pearl Logan who owned the Rex for thirty years, making it the last operation to be shut down for “lewd conduct” in 1960. In spite of its reputation, the Rex was also a rooming house for ranch hands and sheepherders. These men would leave their money with Pearl rather than risk carrying it with them in local bars, many of which were noted for taking advantage of their customers.